This program is of interest to those individuals who are seeking a rewarding career in the health care sector, where employment opportunities continue to grow. Futureworx currently offers CCA programs in Truro, New Glasgow, Bridgewater, Antigonish and Cape Breton. Please note that program offerings in any location, other than Truro, are subject to funding and cannot be guaranteed. The following overview provides detailed information on the Continuing Care Program and Industry. If you require more information or would like to learn more about upcoming program start dates and locations – please Contact Us. CCA’s are members of the collaborative care team and contribute to the provision of high quality, safe, compassionate and efficient care to meet the needs of clients and families. A Continuing Care Assistant (CCA) provides assistance with activities of daily living (ADLs) and instrumental activities of daily living (IADLs) to individuals of all ages in a variety of practice settings, promoting holistic health and independence. A CCA provides direct care and support services to people of all ages; enriching their quality of life. To practice as a CCA in Nova Scotia, an individual must be a graduate of the CCA Program delivered by a licensed education provider and successfully pass the NS CCA Certification Exam. Registered with the NS Private Career Colleges Division, the Futureworx CCA program is designed to provide graduates with the necessary knowledge, skills, and attitudes to deliver appropriate, timely, and respectful person-focused care to individuals. Our programs offer a unique, blended, approach to training that combines technical, employability and essential skills, The CCA program is delivered in accordance with current NS CCA Curriculum Standards and involves theory and practice through the use of classroom, laboratory, and placements. Varying by program location, placements may occur in home support agencies, nursing homes/homes for the aged, acute care facilities, and other approved care settings that employ CCAs. Tuition – Most programs are currently offered tuition free. of age and has been out of school for at least one year. Proficiency in the official language in which the Program is delivered (English). Basic computer skills (basic word processing, send/receive emails, web browsing). *Futureworx currently does not accept international students, in it’s CCA Programs. Please also note that students who graduate from programs at any private career college, are currently not eligible/entitled to receive a Post Graduate Work Permit, as issued by Immigration, Refugees and Citizenship Canada. Write the TABE (Test of Adult Basic Education). Minimum score of Level 8 required for CCA. Note: Final approval/seat allocation is made by an Employer Selection Panel or Program Selection Committee. The NS Private Career Colleges Act and Regulations mandate minimum attendance requirements for all scheduled classes, lab practice and placements. Current regulations require a minimum attendance rate of 90%. Please note that some certificate courses, program modules and or placements require 100% mandatory attendance. It is the responsibility of the education provider to maintain attendance records. Failure to meet attendance requirements will lead to dismissal from the program. The CCA Program entails clinical placements in Long term Care; Home Care and approved Health care Settings. Students are required to provide their own, reliable, transportation to clinical placements. This is of particular importance for home care placements. While, in some locations, learners may be able and permitted to travel with their placement mentor – in most locations learners are required to travel independently and are not permitted to have others (family members; friends..) drive them. Shift work is an integral part of this occupation and learners are expected to follow the rotation of their placement mentors. Therefore, placements can involve day, evening and nigh shift assignments, for up to 12 hours per shift. While classroom instruction is held between Monday and Friday of each week, placements may occur any day the week. Students must successfully complete all program components in order to graduate and be eligible to write the provincial certification exam. The pass mark for each program module/course or placement is 75%. The CCA Program has additional requirements related to immunizations/vaccinations. Learners are responsible to provide documentation that they have completed these requirements at the beginning of program. Health care workers and other staff (including learners) who work in health care settings are at risk of exposure to communicable diseases due to their direct care contact with clients, residents and/or patients or material from individuals with infections, both diagnosed and undiagnosed. Up to date vaccination status and Hepatitis B (Hep A/B recommended) vaccination is a condition for clinical placement and employment in most health care settings. TB Testing: Health Authority policies require that all learners entering a health care program and completing placements in any associated facilities to undergo a 2 Step Mantoux Test. The test cannot be older than six (6) months before starting the program and must be completed prior to 1st placement and/or lab assignments on care units. Learners are responsible for any costs related to the obtaining of vaccination records and/or required immunizations. Please note: The submission of vaccination status records are conditions for placement by many employers/work placement hosts. Non-provision of records or refusal to obtain immunization may prevent the learner from going to/participating in mandatory placements. All learners must complete/obtain the following certificate courses in their entirety. Placements provide an opportunity for the learner to demonstrate that they are safe to practice their roles with a variety of individuals in nursing homes, home care, acute care, or other approved care settings. Placements are arranged by the education provider. Conducted in a Department of Health and Wellness licensed nursing home/home for aged. This placement is meant to introduce the student to a real work environment to develop their skills by providing hands on experience under the direct supervision of an RN or LPN. Home Support: 80 hours. The goal of this placement includes skills development and gives the student an opportunity to work in partnership with a mentor in the development of skills unique to home support. The Home Support Mentorship Placement must be completed with a home support agency, providing services to Department of Health and Wellness clients. Nursing Homes/Homes for the Aged: 80 hours. This placement allows the student to apply theory and skills in the workplace while working alongside, under the supervision of a mentor, in a Nursing Home/Home for the Aged. Open Mentorship: 60 hours. This placement is the culmination of the learning that occurs in the classroom, lab and placements. It allows the student to apply theory and skills in a workplace as they work in partnership with a mentor(s). The Open Mentorship Placement is the final placement and must be completed after the student successfully concluded all theory, lab and previous placements. Placement settings may include one or more of the following provincial settings: Acute Care facility; Home Support agency; Nursing Home/Home for the Aged; and/or an alternate, approved, care setting. If you have taken courses at other post-secondary institutions and have completed them successfully, minimum final grade of 70% or higher, you may be eligible for course/module/placement exemptions. To request exemption, learners must meet with the program instructor(s), submit a formal request (in writing) and supply any required documentation for consideration. Given the nature of this program and provincial program guidelines, accommodations may be limited. However, if you require accommodation due to a disability affecting vision, hearing, learning, mental or physical health, individuals must self- disclose during the admission process and provide relevant documentation. Satisfactory performance both academically (classroom exams, lab practice, skills testing) and clinically (in your practice with clients) is required for completion of the program. Pass Mark for all modules/courses is 75%. The following information provides an overview of the general content of the program, by course/module. Throughout the program learners are expected to: Model respectful, appropriate professional behaviour and effective interpersonal interactions with others in accordance with the standards of practice. This module introduces the learner to the Continuing Care Assistant (CCA) program and the health care sector by providing an overview of the Program, and an understanding of the Program’s role within the Nova Scotia health care sector. 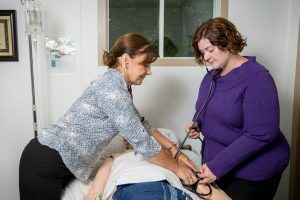 It also introduces the learner to the framework governing the delivery of care and the various types of health care services and service providers in Nova Scotia. This module also introduces learner to the role of the CCA and the CCA’s general responsibilities as an integral provider of care and member of the health care team. Learning outcomes include the social philosophy of care; CCA Scope of Practice; professional responsibilities and the professional qualities and behaviours expected of a CCA. This module will introduce the learner to effective interpersonal communication practices for CCAs. The learner will become familiar with different types of professional relationships and the appropriate forms of interpersonal communication that occur in care settings. The learner will assess his/her strengths and areas for improvement in interpersonal communications generally. The learner also will understand and practice communication strategies and approaches that will strengthen his/her ability to deal with the varied situations s/he might encounter as a CCA. This module will provide an introduction to the various forms of written communication required of CCAs in care settings and how CCAs can approach care-related written communication appropriately and effectively. The learner will recognize the importance of documentation in the coordination and monitoring of care and will overview various forms of documentation. The learner also will develop his or her written communication and documentation skills. Additionally, the learner will be introduced to the appropriate uses of technology by CCAs both inside and outside care settings. This module introduces the principles of body movement and safety, to be followed during the performance of all direct and indirect assistance activities. Learner will learn how to position and transfer individuals by using person specific assessments and safe application of positioning and transfer strategies. This module is designed to enable the learner to develop the skills required for the basic safety and cleanliness of the person’s care setting, according to the scope of employment policies. It prepares the learner to organize and complete daily care setting management tasks, set priorities and develop time management skills. In this module learners will acquire the knowledge related to the principles of growth and development and how to apply them in order to meet the person’s needs. Topics include: physical, emotional and social development across the life span. In this course learners will attain the skills and knowledge related to the provision of personal care. Using a person-centered philosophy of care approach. Learners will acquire the competencies required to implement respectful, safe and effective personal care, to individuals across the life cycle. In this module learners will be introduced to nutrition and the role of the CCA in meeting the dietary needs of individuals of all ages. Learners will develop the skills and knowledge necessary to plan, serve and prepare basic meals. This module is designed to prepare the learner to recognize and support individuals who are experiencing mental health issues as well as various types of abuse and neglect. It explores strategies to maintain mental health and social well–being. This module allows the learner to cultivate an awareness of medications and the role of the CCA in supporting the needs of the person. It provides an introduction to commonly used medications as well as some basic principles of pharmacology. Learner will acquire the skills to competently apply medicated topical creams, ointments and drops. Good – The employment outlook over the next few years for this occupational group is “good”, which indicates the chances of a qualified individual finding work is better than average when compared to other occupations in Nova Scotia. This is a fairly large occupation in Nova Scotia so job opportunities occur fairly regularly. The number employed in this occupation is expected to grow significantly over the next few years, which will provide additional opportunities for employment. With a moderate percent of workers being 55 years of age and older, retirements are expected to contribute somewhat to employment opportunities over the coming years. Continuing Care Assistants and Other Health Support Workers most commonly work full-time hours. The median employment income for 57% of Continuing Care Assistants and Other Health Support Workers who worked full-time, year-round in 2010 was $33,273. Across all occupations in Nova Scotia, 59% of those who worked full-time year-round had a median employment income of $43,600.